After creating your issue it's time to go live and distribute it. 1. Select the issue you wish and click the Go Live button. 2. Click the Change Settings button. 3. Choose the Anyone option and click the Go Live! button. 4. 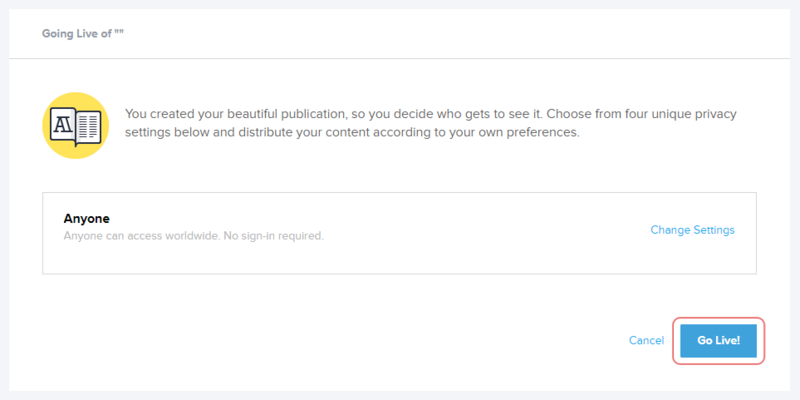 Click the Publish button and make your issue available on Joomag Newsstand and both iOS and Android applications. 5. You will need to fill in some necessary fields about your edition if you haven't filled them already, after that click the Next button. Important: The issue description field must contain 100-500 symbols. 6. In this step, you need to fill in information about your issue, after that click the Publish button. Important: The mandatory fields are Volume and Description. 7. Now, your issue is available on Joomag Newsstand, iOS, and Android applications. Click the Done button. 8. In this step, you can go to any page of your issue and copy the direct link. 9. 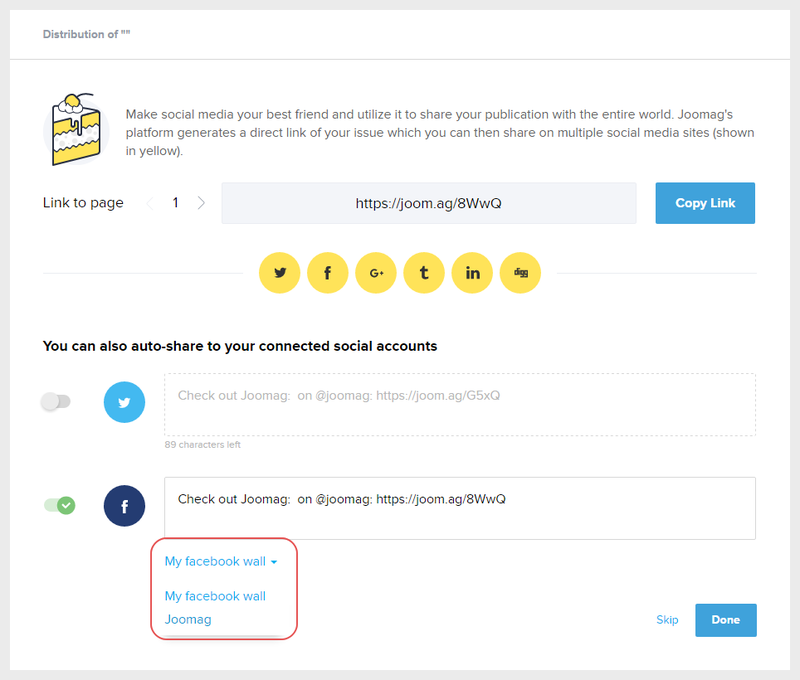 You can also connect your social account to your Joomag account and once your issue goes live you can choose to post it either on the Twitter wall or on your Facebook page if you have any. Warning: In case you don't have any Facebook page besides your profile, this option will not be available for you. 10. After sharing your issue, we give you the opportunity to embed it on a website or to customize your issue link.